Install our custom-designed impact windows and obtain 24-hour hurricane protection, avoiding the hassle of putting up and taking down storm panels. Hurricane windows are built with a PVB interlayer sealed in between two layers of glass which makes break-ins a bit more difficult to occur. Although the laminated glass in our impact windows is not 100% burglar proof, it can serve as an excellent burglar deterrent. Statistically, one third of burglars will gain entry through a window, while the remaining two thirds will get in through an insecure door. Having impact windows and doors installed in your house can offer you the extra time your alarm system needs to advise the police in case of a break-in. Important disclaimer: Astor Windows does not hereby claims or implies that impact windows and doors are burglar proof. Drop your utility bills and realize important electrical savings by installing our impact-resistant products, which are built of heavy-duty aluminum and vinyl frames with double-glazed panes. Equipped with the right glazing option, our impact windows are much more energy efficient than the existing single-glazed windows. Today, Miami homeowners prefer large panoramic openings that provide uninterrupted views. However, this architectural trend comes at an increased utility bill due to the greater sun exposures. Large, single-glazed windows allow heat or cold transfer from the outside to the inside of the property. In contrast, impact windows provide excellent insulating capabilities, helping isolate interior spaces from the outdoor weather changes and contributing to important utility bill savings. Astor Impact Windows has more than 12 years successfully installing impact-resistant windows, doors and storefront systems. We fully apply our expertise and knowledge from our construction company to our window business. Our team is trained and properly insured to perform complex installations. In addition, we have the equipment and personnel to perform opening alterations, such as reinforcing concrete/steel frames, building new frames or simply reconfiguring existing frames. Impact windows and doors are effective windstorm protective systems recognized by insurance companies such as Citizens Property Insurance Corporation. If all of the house openings are protected with impact-resistant windows or doors, policyholders can obtain up to 45% premium discounts, reducing the effective price or cost of installing the windows. Approved by Miami-Dade County, our impact-resistant windows and doors are made of high-grade aluminum and vinyl framing built to last for a long time and designed to withstand the Florida climate. Astor Windows carry products made by Florida's leading manufacturers of impact-resistant windows and doors. With 20 years of proven track records of building glass-and-glazing components for the coastal areas, our manufacturers offer us peace of mind that the products we install will perform when needed. Our hurricane impact windows and doors help reduce outdoor noise significantly. Our client testimonials confirm that impact-resistant glass is a great contributor to bringing peace and quiet environments inside the house or property. For homeonwers who live near busy intersections, highways or heavy traffic, installing our hurricane impact windows and doors has proven to be an effective noise attenuation solution. Please see the video below filmed at one of our completed projects in Miami. Construction crew was working outside this house when we were supervising the end of the window installation. You can notice the significant noise reduction accomplished with a casement window. Hurricane windows and doors provide 99% blockage of ultraviolet (U-V) light, protecting your valuable interiors, including your favorite photographs, loveseats, Persian rugs and even your flooring, from fading or discoloring after repeated exposure to direct sunlight. This characteristic is particular important for us in Florida where we can enjoy the direct sunshine all year round. Our lines of high impact windows act like sunscreen to your house, blocking the damaging U-V without noticeably reducing visible light. When Astor Windows sells and installs impact windows for your home or commercial property, you are buying peace of mind. You obtain three (3) years warranty on the installation labor, and up to lifetime warranty on the product. Read more about specific warranties offered by our manufacturers in the manufacturer's profile section. Some products carry a 10-year warranty while others provide a lifetime warranty. With Astor Windows you receive excellent customer service at competitive prices. SHOWROOM - BY APPOINTMENT ONLY Address: 7330 SW 42nd Street, Miami, FL 33155 We have a 3,000-square-foot showroom with a wide selection of impact windows and doors. We have products from CGI Windows and PGT Industries (PGT windows) in fullsize displays. In our showroom, we have samples of clear, gray, bronze, green and blue tints. In addition, you can experience for yourself the different Low-E glass options available. Low-E glass are an effective way to block heat transmission into the inside of the house. If you want to learn more in detail about the leading impact-resistant windows and doors in the market, please call us to make an appointment to meet with one of our project managers. It is important that you make an appointment in advance so we can set aside time to meet with you and address your specific needs. Please be aware that our project managers spend a significant amount of time out in the field meeting with prospect and current clients. If you don't make an appointment with a project mananger, the administrative staff in our showroom will not be able to assist you. Wind Engineering and Shop Drawings Project-specific analysis of wind-loads, as well as preparation of full sets of shop drawings for windows, doors, storefront systems, mulls and other pre-engineered components. Permit Expediting Our expediter takes our permit packages into all of the Miami-Dade County municipalities and assist us in navigating through these time-cosuming processes. In addition, our expediter is in charge of presenting our proposed projects in front of Board of Architects in those municipalities that have this additional requirement. Full Service Installation We supply and install impact windows and doors in both retrofit (existing structures) and new construction projects in Miami. We offer turn-key solutions, from the design phase to value wind engineering to installation up the finish work. We work in both residencial and commercial projects. Metal Structures and Metalworking Custom design, fabrication and installation of steel tubes and anchoring plates. Visit our our metal fabrication section to learn more about services and capabilities. All of the impact windows and doors we carry have Miami-Dade County Notice of Acceptance (NOA), an approval required by most of the municipalities in South Florida. Astor Windows enjoys an outstanding reputation among homeonwers and contractors, having more than 350 completed projects in South Florida with an impressive rating of 4.9 over 5.0 in customer satisfaction. Please ask our project managers and sales representatives for hard copies of our customer ratings. 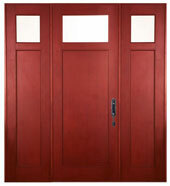 We deal with manufacturers of impact windows and doors based out of Florida. Schedule an appoinment Need to have impact windows or doors professionally installed? Contact us to schedule a free onsite consultation. We will assign a project manager to meet with you to understand your needs and visit your property to take field measurements. Back at the office, the project manager will prepare a site-specific proposal for your project. Learn about impact windows Read our blog about impact windows at impactwindows.net. For example, you can information about window condensation, egrees requirements, energy consumption and permit fees. Visit our photo galleries Browse our photo gallery section to see pictures of current and finished projects. Also, navigate to our Facebook, Instagram and Pinterest sites. Learn about Astor Windows Visit the About Us section to learn more about Astor Windows. In addition, check some of the customer feedback ratings we receive once we complete our impact windows projects. Connect with us on the following social networks to browse through additional photos of impact windows and impact-resistant doors. On these photo galleries, you can find pictures of current and past installations of impact windows throughout Miami, including Miami Beach, Key Biscayne, Coconut Grove, Coral Gables, Kendall, Pinecrest, Palmetto Bay and South Miami.